Moving mailboxes in Exchange is relatively a painless task, but when you run into issues like space or network problems then all the moves you started all begin to fail. 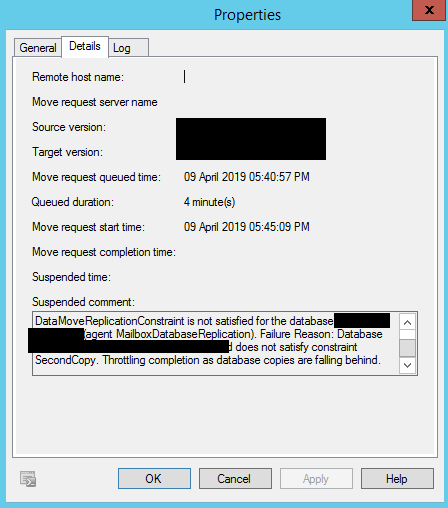 Error: Move for mailbox 'mailbox1' is stalled because DataMoveReplicationConstraint is not satisfied for the database 'DAG1-STORE1' (agent MailboxDatabaseReplication). Failure Reason: Database <> does not satisfy constraint SecondCopy. Throttling completion as database copies are falling behind. 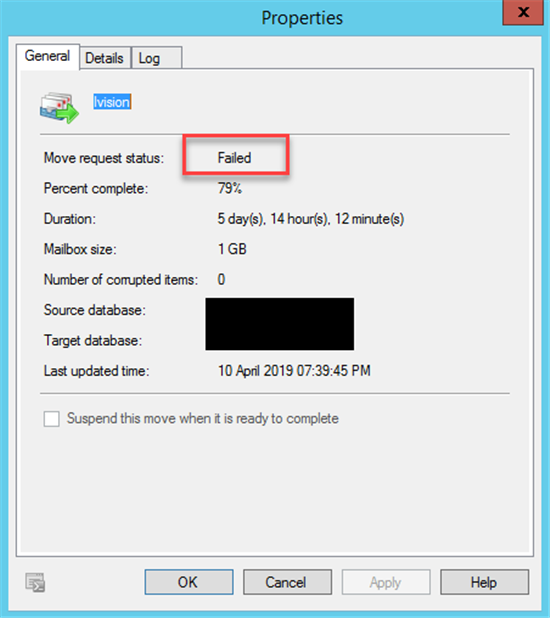 Make sure the DAG is online and network connectivity restored, you can then resume the move and it should complete.